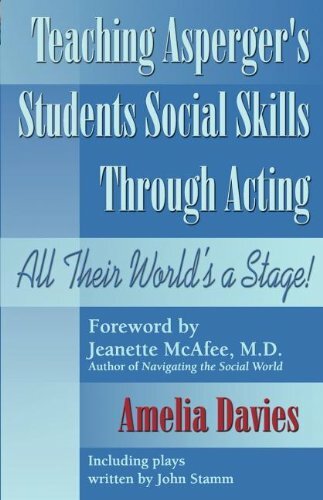 Item Nr: B 95902 Title: Teaching Asperger's Students Social Skills Through Acting: All Their World Is a Stage! Provides an easy to follow, step-by-step drama curriculum specifically for parents and professionals without backgrounds in acting. Included are acting exercises and plays that teach actors how to control and use body language, nonverbal communication, tone of voice, facial expressions, and movement. John Stamm's humorous plays at the end of the book are take-offs of children's fairy tales (Cinderella, the Sequel; Hansel & Grethel; Jack and the Beanstalk; The Rabbit's Bride.